Publisher: Wm. B. Eerdsmans Publishing Co.
Natural Law and the Two Kingdoms can be summarized as a survey of the historically reformed Christians position on the two key concepts of the Two Kingdoms and Natural Law. Those two terms in the title are the key to understanding this book both in how the data the author uses to interpret the reformed position on these two concepts along with how they work themselves out in both the civil and ecclesiastical realms. The book is an excellent work of collating the historical position on these two concepts going all the way back to Pre-Reformation area with Augustine all the way down to Greg Bahnsen and R.J. Rushdooney. One of the main reasons that I picked up this book is that I could not find a book that has attempted such a large venture and the author should be commended for such a work. The author does a good job of defining what he means when he interprets what Natural Law means from the historical sources he cites. In regards to the term, “Natural Law” the book essentially defines it as the decalogue applied to unregenerate man being made in the image of God. It is vital to understand that this term has nothing to do with the Ecclesiastical part of the book (this is covered in the Two Kingdoms term), but purely in the civil realm in regards to how un-generate man can rule the civil realm in righteousness and justice. This presents a problem from the Christian Reformed position in that the assertion has always been that although man has been created in the image of God, man is dead in trespasses and sins. This is no problem when it comes to the doctrine of the church, but with this book the position is negated when it comes to the civil realm and the “Natural Law” of man. The author claims early in the book that he’s not trying to defend the position in the book, but merely to express what the historical Reformed Christian position has been on the subject. If you do read this book you will begin to see that the author holds to the actual premise that he’s attempting to demonstrate: that the Reformed position is providing chapter by chapter is the correct one and deviations from this are wrong and heretical. The second motif in the book has to do with the Two Kingdoms. This is where the role of the church and the role of the state is expounded from the historical Reformed Christian sources he documents. The author seems to handle this in a more consistent way until towards the end of the book when he discusses Cornelius Van Til and Greg Bahnsen. It’s the classic position where the church operates in it’s own sphere of church doctrine and discipline and the state (civil polity) operates in its own realm in governing and legislating according to it’s own doctrines and precepts. The author essentially puts Christ Kingdom into two domains: Christ as Creator and Christ as Redeemer. The domain of Christ as creator is argued to mean that Christ governs the civil realm as Creator along with the providence he gives to unregenerate man through natural law and the other domain being Christ as Redeemer where he rules and governs his church by His Word. Natural Law is the link in the authors chain as to how he justifies these two kingdoms. A key and problematic theme that is recognized in the book is an appeal to pagan authors and authorities more so on the Natural Law side than the Two Kingdom side, but one that is most disturbing. There’s even a section in the book where the author appears to be passively mocking those that would have God’s law as the standard in the civil realm as ‘Biblicists’. This seems to me to be most disturbing given his Reformed Christian presuppositions. I did find it interesting on his response to Bahnsen’s theonomic position, but then again it aligns with the whole argument of leaving sinful man to rule the civil realm and only expecting the regenerate in Christ to rule the ecclesiastical realm. You will also find in this book that when it came to the Reformed tradition actually executing their presuppositions that the author articulates various consistencies come to light. He highlights some of this in Calvin’s Geneva with the execution of Servetus being the best use case against the authors position since he was executed for an ecclesiastical charge and not one bound in the law of the civil realm at that time. Concluding the book is a good survey of the historical Reformed position on the two areas of Natural Law and the Two Kingdoms, but the premise that this position is correct or even consistent for that matter is questionable. 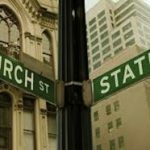 As a Reformed Christian, I believe the Reformers were spot on in regards to the various doctrines of the church that they expounded and fought for, I just don’t think their position in the civil realm has been consistent for biblically driven enough to warrant the position that the author assumes. If the Scriptures are to be the only rule for faith in life, this includes the civil as well as the ecclesiastical realm.